No one is mounting a remote cifs share to save videos from this addon? Awesome! Any chance you can add mosquitto_pub so we can use mqtt triggers for motion detection? I’m trying to get motion detection to work with Hassio/Node Red. MotionEye can send HTTP WebHook requests … by using the parameter %f you get the full filename of the video or snapshot including directory … this will enable you to display the motion event. Thats great. I have unfortunately no idea how webhooks work. But now that I know thats a working solution, I’m going to try to figure it out. Hi Frenck, and thanks for this addon ! Do you have any idea if this will be fixed by the hassio evolutions in the near future ? Hi! When I had one camera (rtsp) my rpi’s cpu was loaded for 40-50% when I was watching it live. And 3-4% at other time. How does this add on work? Will it be better? 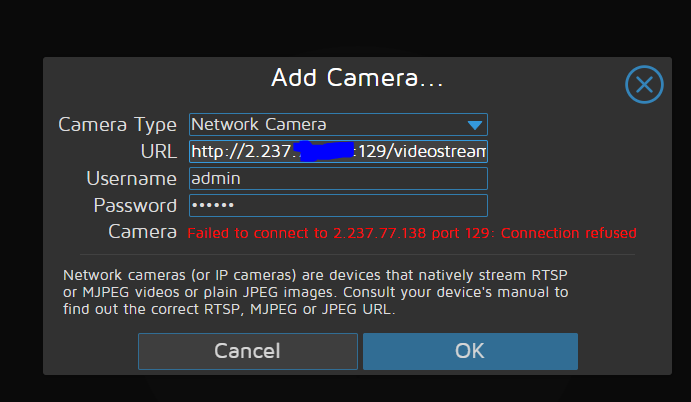 I want to get live view of 4 cams and have already bought DVR, but I am just onterested if Pi can handle that. If not, can intel nuc for 150-200$? motioneye add-on is using wrong time zone on my home assistant, how can I make it to use the hassio timezone or explicitly set the correct one? Thank for other great addon! Can you tell please if it possible to use motioneye as native camera in HA? I mean something like this? firstly, thankyou @Frenck for making this add-on work in Homeassistant! I can now view a snapshot of my cheapo chinese cameras on lovelace and click on it and be taken to the live feed in motioneye. Amazing! I am now trying to use the motioneye EMBED url on my tileboard implementation. The problem I have is that I am always prompted to enter the motioneye login credentials when i open the embed URL (e.g. https://mydomain.duckdns.org:8765/picture/1/frame/ ) even if I set the authentication to “disabled” or set the toggle to remember my login. Can anyone advise how I can get to the live stream without having to manually enter login credentials? Is it possible to add Wyze cameras? it uses lots of cpuloads, it reaches to 6. I am using digoo M1Z camera with my guudgo nvr.